When it comes to web hosting overselling, there’s just one provider who’s transparent – SiteGround. InMotion is a close second. They’re the only host that clearly specifies the number of CPU seconds and script executions allowed for their shared hosting accounts. It’s why I recommend them for web hosting. Here’s a complete SiteGround coupon code list starting at $3.95/month. It’s not as if other providers leave you completely in the dark. For example, InMotion hosting shows both script executions as well CPU seconds. But InMotion stops short of specifying an absolute number and only show it as a percentage of allowed usage. I must admit it’s almost as good as SiteGround. Their WordPress plans are particularly impressive. Others like Bluehost provide no useful information about whether or not you’re overstepping your shared hosting limits. 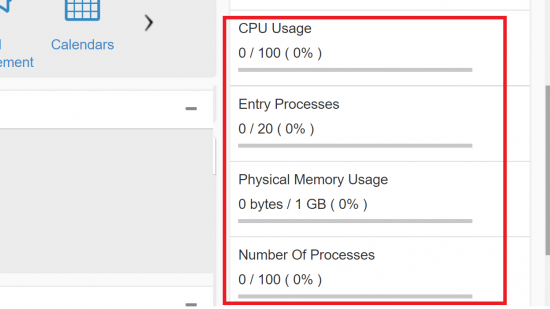 Their “Terms of acceptable usage” mentions CPU seconds, but they show neither a percentage used, nor an absolute number. So while everyone knows that that their web hosting is oversold, there’s no transparency. It’s also worth noting that some hosts like RoseHosting, make it a point to not overload their servers. In fact, when they started out in 2001, they promised not to have more than 15 virtual servers on a single machine! Yesterday when I logged into SiteGround, I saw a scary sight. 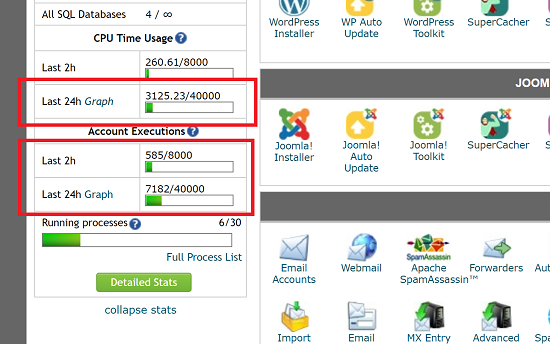 On the left side of my cPanel, I saw that I had exceeded my limit of 40,000 script executions in the past 24 hrs. Unfortunately, I forgot to take a screenshot at that moment, so I can’t show it to you here. And this is the core problem with web hosting overselling – your load impacts others on the server. The great thing about SiteGround is that they tell you exactly how much leeway you have left. SiteGround is very transparent about how many scripts you can execute for each shared hosting plan. They monitor it on an hourly, daily, and monthly basis. It allows for “burst” usage, so for short periods of time, your site can have above average usage, providing it evens out over 24-hrs. In fact, can we call it “overselling”, if the web hosting limits are clear? Here’s what I did to bring my script executions back to normal. I found that my WordPress “cron” page was being called thousands of times. 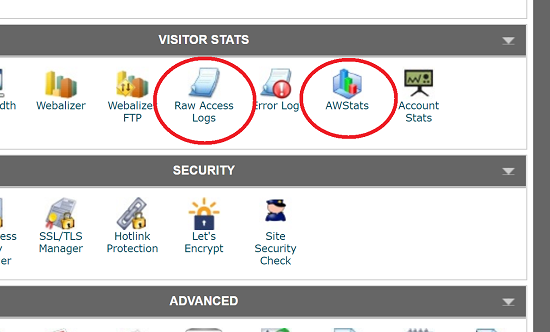 I then accessed the “Raw Access Logs” as shown in the icon above. I found that a bot called “Maui” with a user-agent name: “MauiBot ([email protected]” was the culprit. Since April 2017, SiteGround introduced a new system that tries to identify misbehaving bots and blacklist them automatically. However, it doesn’t always work. It definitely didn’t work in my case. Bottom line – it’s up to us to protect our own website. SiteGround’s services are an added bonus, but they don’t replace our own vigilance. The Maui user agent was also ignoring my robots.txt file and indexing thousands of “replytocom” comments links on WordPress. Armed with this knowledge, I took the following steps. And here are the graphs for the past 1-week. As you can see, I brought them back to normal levels again. While they’re still a bit higher than “normal”, you can see from the first image that I’m well within my limits. 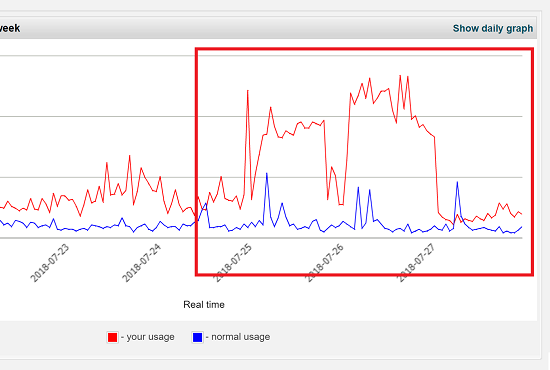 I don’t know if the “normal” blue line refers to MY average usage or the average usage of everyone on my server. Either way, I’m not concerned since I have plenty of breathing room left. So it don’t actually make a difference that the web hosting is oversold. What matters is that I know my limits. If I was on Bluehost for example, I wouldn’t even know that I was above my script executions limit. 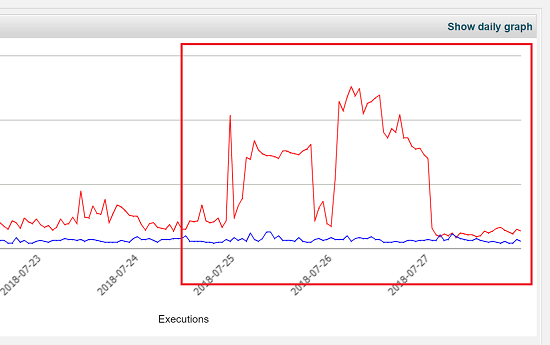 Bluehost used to have a graph showing CPU throttling, but that went away once they overhauled their interface. For this kind of monitoring, it’s SiteGround or InMotion. If you’re curious, here’s a list of InMotion discounts including an exclusive 43% off for WP-Tweaks! You want a hosting provider that grows with you – and part of that is knowing when you need to upgrade. And that requires transparency of usage. Overselling isn’t a problem as long as you know what the limits are.